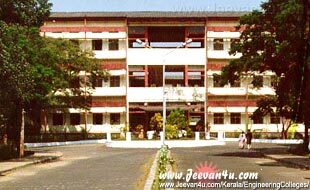 Positioned in a beauteous location at the base of the Western Ghats, National Institute of Technology Calicut (NITC) is just 22 kilometers north-east of Kozhikode City. 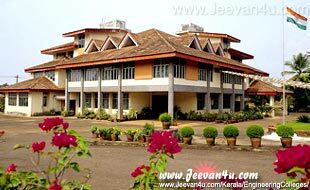 National Institute of Technology Calicut is one of the leading national institutions for technical education in India. The National Institute of Technology Calicut offers the following Bachelor of Technology undergraduate degree courses. The NIT Calicut also offers 'Masters of Computer Applications (MCA)' three year course. This course is the graduate programme in Applied Computer Science. This course at NITC offers the specialization in Mathematics and Scientific Computing. The NITC's Bachelor of Architecture (B. Arch) is the Undergraduate Programme in Architecture. The NITC's Master of Architecture (M. Arch) is the Graduate Course Programme in Architecture. The PhD. students at NITC's can do specialization in all Engineering and Science disciplines, upon their choice. The digital library in National Institute of Technology Calicut NITC is known as NALANDA (Network of Automated Library and Archives). The NALANDA houses a good collection of online resources. The National Institute of Technology Calicut (NITC)'s Central Library, with more than 100,000 books is one of the largest technical libraries in India. The NALANDA is also a part of the INDEST consortium.